Tissot presents a sporty timepiece enhanced by three additional chronograph subdials and a date aperture for added efficiency. The darker dial adds contrast with a bright red hand to track the passing seconds with ease. Tissot PR100 Men's Stainless Steel Black Chronograph Watch is rated 4.5 out of 5 by 2. 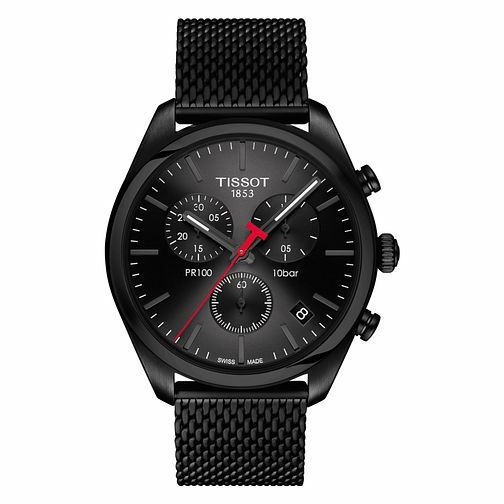 Rated 5 out of 5 by Anonymous from Tissot Black Mesh Strap Watch Really good looking watch at a reasonable price, especially with the ten percent discount.